The small form factor and professional metal enclosure of the NFT 1Ni makes this product ideal for residential as well as enterprise and industrial applications. 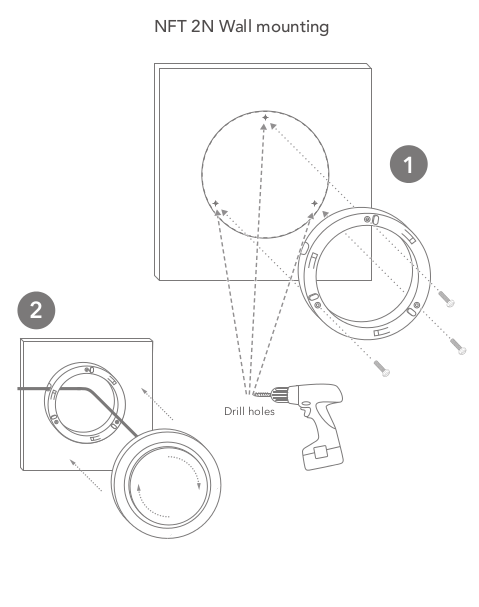 The device has a built-in screw mount plate for wall or ceiling installation. Screw in the two screws in a straight line 6.5cm apart from each other. It is recommend to use an 18–24V PoE. 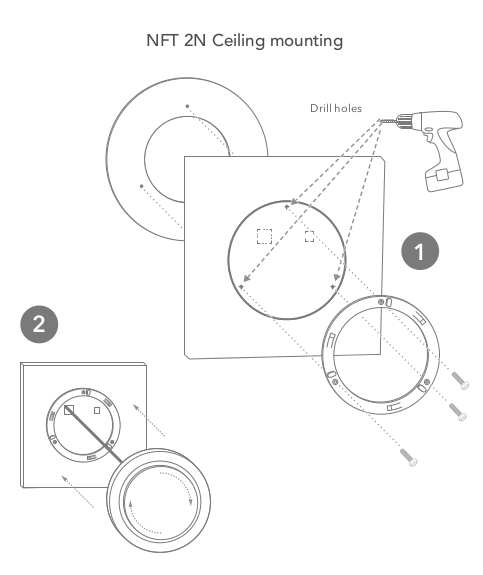 The device has a screw mount plate for wall and ceiling installation. Screw the three screws in an isosceles triangle shape 10.5cm apart from each other. 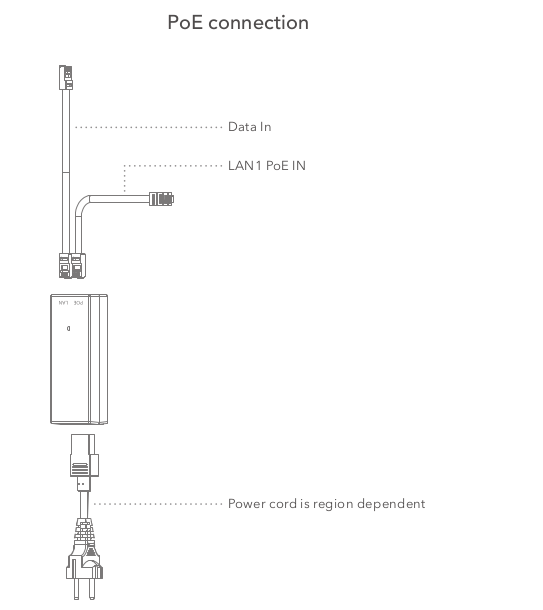 The Infinity NFT 2N can be powered up using a 48V af PoE or an af switch. 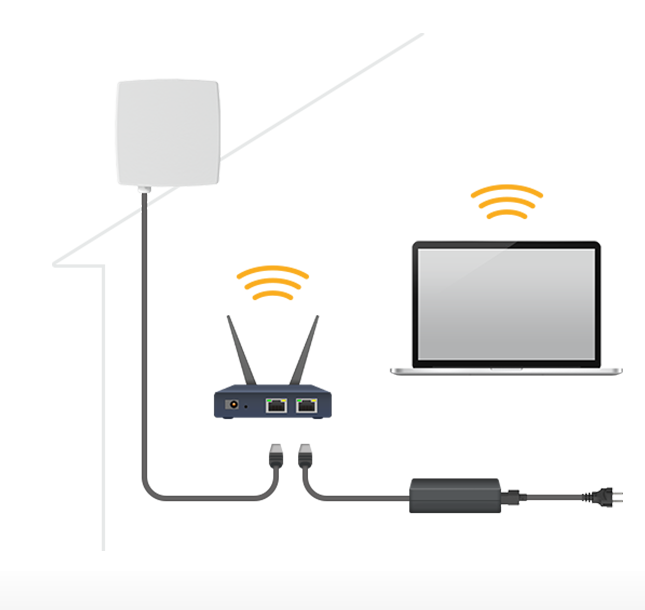 There are some fundamental rules in wireless network planning for hotspots. 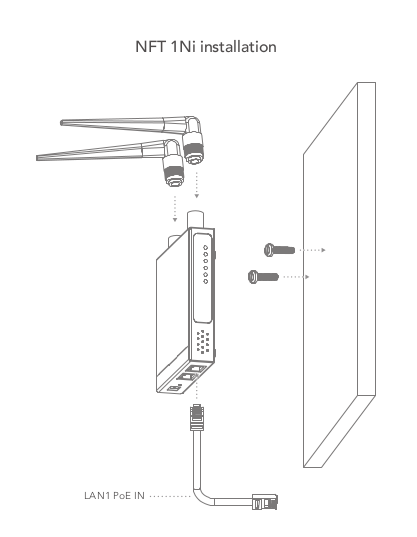 In the case of 2.4GHz, there are only 3 non-overlapping channels: 1, 6, and 11. All large wireless networks can be built from many clusters. 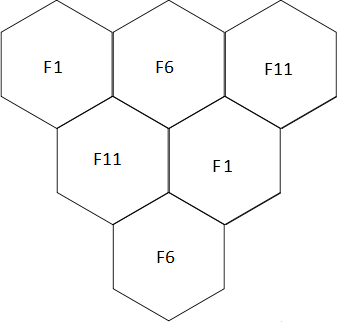 One network cluster is formed from 3 different frequency cells. One cell is served by one access point. Adjacent frequencies have to be different and separated by one neighboring frequency. This is an important aspect in wireless network planning. This type of network planning helps to avoid interference and improves link quality. In the case of a 5GHz Wi-Fi network, more frequency channels are used. It helps to choose adjacent frequencies that are separated by two or three neighboring frequencies because this improves the quality of the network. 5Ghz network clusters could be formed from 7 or more different frequency cells. 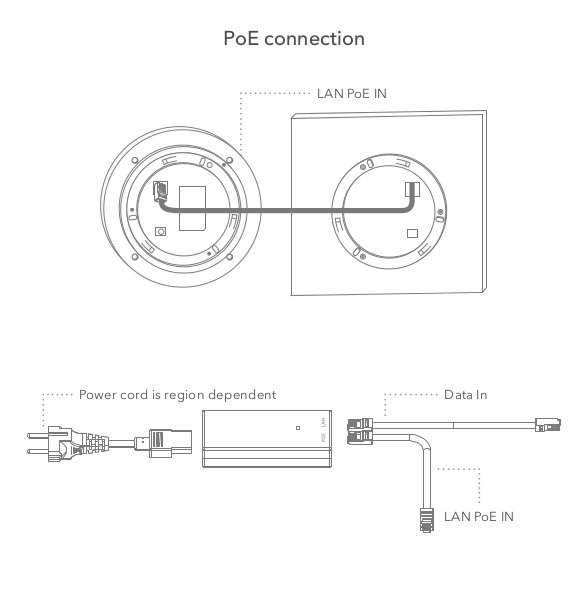 NFT 1Ni has an integrated Ethernet port with PoE pass-through support. It allows users to power up a second device directly without an additional power supply. It provides 24V PoE pass-through and can power up outdoor CPEs and APs. 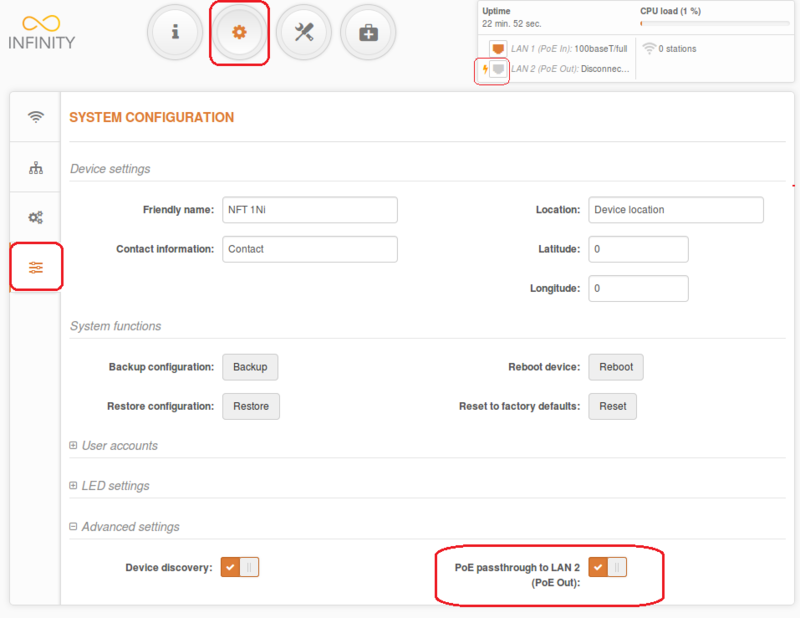 To enable 24V PoE pass-through, navigate to Settings > System. 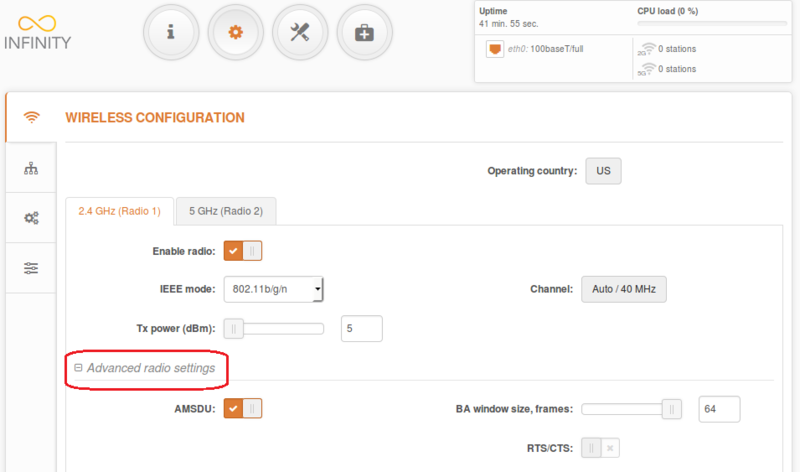 To improve connection quality under high-level interference, it is recommend to set the BA window size to 8 to reduce packet loss and the retry rate. If the environment is clear, a BA of 64 is recommended for maximum performance. The highly acclaimed LigoWave support team is always ready to help you solve all arising problems or give professional advice about your network design, deployment, or configuration using LigoWave equipment.